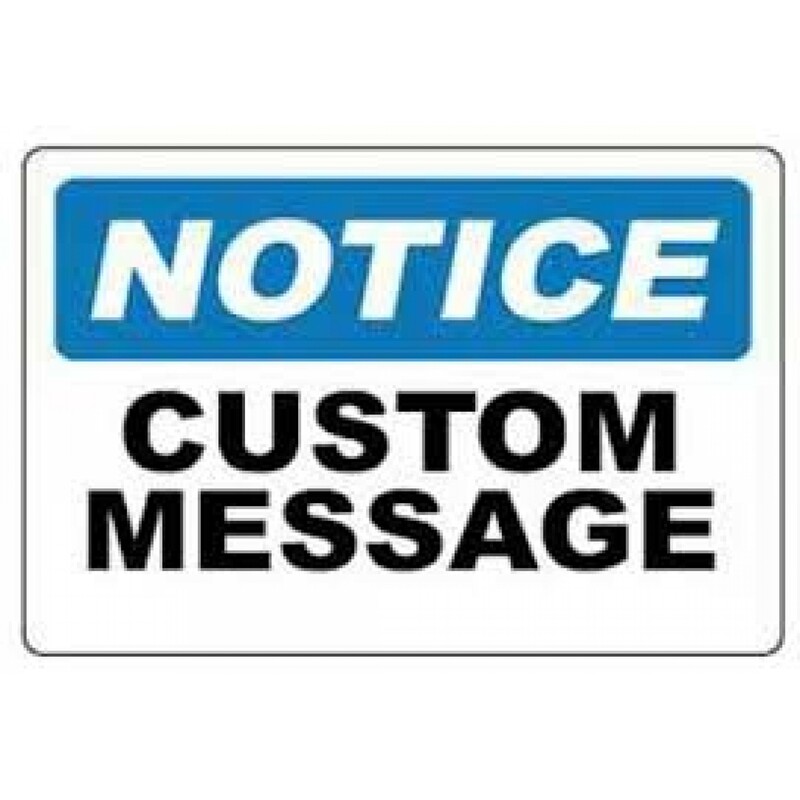 At Custom Online Signs, we are experienced in the manufacture of a full range of Safety Signs and we can include the text message in English or Spanish language. We offer various OSHA signs such as safety signs, caution signs, notice signs, danger signs and general purpose signs. We manufacture safety signs for you mainly in three sizes. We use highly durable aluminum for the manufacture of these safety signs. The top quality aluminum used help the safety signs to withstand any type of climatic condition. The inks we use for printing the necessary safety messages are made from high quality materials. And as we usually use the safety signs for outside purposes, they are made water resistant and are protected from the harmful UV radiations. All these help in enhancing the longevity of your required safety signs. We have with us a large inventory of safety signs. You can either choose from these or if you are a creative person, design your own safety signs. At Custom Online Signs, we help in developing and fulfilling your creativity as we are experienced in manufacturing signs designed by our customers. At Custom Online Signs we look forward to assisting you in choosing or designing the necessary safety signs at affordable rates. Contact us on phone: 219-365-1764 or send a fax message to: 219-365-9777. Safety Signs Orange 10x14 , Aluminum (.040), OSHA Standard size. Lettered one side, change text and ..
Safety Signs Orange 10x14, Aluminum (.040), OSHA Standard size. Lettered one side, change text and t..